The Manufacture Jaeger-Le Coultre at the Joux valley. For 180 years, Jaeger-LeCoultre has created and manufactured in its workshops over 1,200 different calibers, and filed almost 400 patents. The big house has to its credit world firsts, superlatives and legendary watches as the Reverso, the Duoplan, the Memovox, Polaris, the Gyrotourbillon 1 and 2, the Duomètre line, or the perpetual Atmos clock. Today more than 1000 people are working under the roof of the Manufacture and master every watch making expertise to make the most inventive brand watches. Since the XVIth century, the LeCoultre family plays a pioneering role in the Joux Valley. Huguenot refugee who fled religious persecution in France, the scholar Pierre LeCoultre (circa 1530-1600) obtained the coveted status of “citizen” of the city of Geneva in 1558. Driven by his love of adventure and challenge, he leaves the city of Calvin the following year to acquire his first field at the Joux Valley: a plot covered with forest land, territory for bears and wolves. He signed the charter on this occasion marking the regional history. Pierre LeCoultre is committed to clearing the forest, building houses, grows crops and raises animals. Despite the many obstacles and adventures, the small community gets established and grows bigger. The son of Pierre LeCoultre definitively emancipated by building a temple in 1612, which marks the birth of the village of Sentier. In 1833, following the invention of a watch making machine in cutting pinions, Antoine LeCoultre founded in the Joux valley the first watch making workshop. One by one, he acquires major watch making expertise needed to make a complete watch movement, little by little closer to what he calls his “original plan”. In 1866, the small workshop becomes the first Manufacture of the Joux Valley. At a time when watch making expertise was scattered in hundreds of small production units at home, Antoine LeCoultre and his son Elie (1842-1917) were pioneers. They developed especially the first partially mechanized manufacturing processes of complicated movements. In 1888, the LeCoultre factory already employs nearly 500 people. It is now known as the “Big House” of the Joux valley! Its creativity in the field of movement is simply stupendous. From 1860 to 1900, the Manufacture creates over 350 different calibers! And from 1890, it produced its first Grand Complications or watches containing three major horological complications: perpetual calendar, chronograph and minute repeater. In 1903, the Parisian watchmaker of the Navy Edmond Jaeger (1858-1922) and Jacques-David LeCoultre (1875-1948) unite together to create one of the most extraordinary collections of ultra-flat watches, including the flattest in the world, equipped with LeCoultre 145 caliber (1,38mm height). Will follow pioneering works in the field of wristwatches. 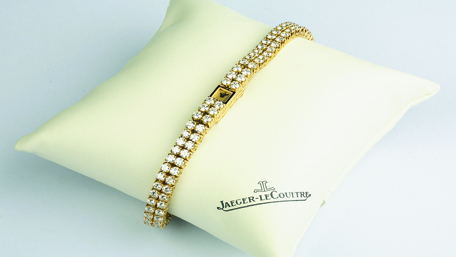 And finally, the Jaeger-LeCoultre brand. 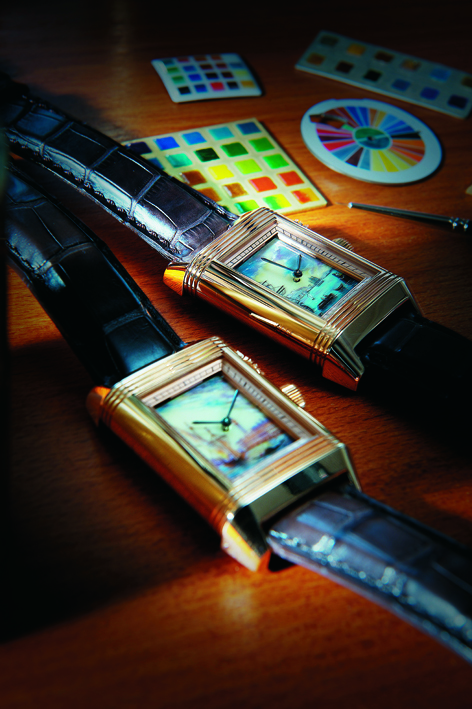 Impregnated with Art Deco values, the first Jaeger-LeCoultre icons are created in 1920-1930. In a few years, were born successively the Duoplan watch (1925) at the origin of the current Joailleries 101, the perpetual Atmos clock (1928) and finally the famous Reverso watch (1931). These creations have marked the history of watch making and went decades to the present, accessing the status of classics. For 180 years, as new skills were integrated into the big House in the Joux valley, buildings were added to each other in the extension of the original Antoine LeCoultre workshop in the heart of the Sentier village, near the place where Pierre LeCoultre acquired his first land in 1559. The roofs of the Manufacture have multiplied to form an architectural complex, more than a sanctuary of fine watch making, is today a prodigious creative space. Under the roofs of the Great House, every day, 180 kinds of watch making expertise and more than 20 technologies invent, design, manufacture, assemble, adjust, crimp, engrave or punctuate unique timepieces which promote and continuously renew the great Swiss watch making tradition. 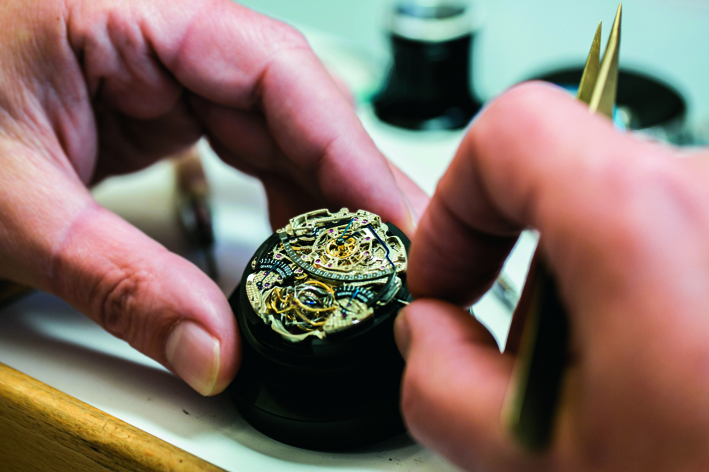 Attention to detail characterizes since 1833 Jaeger-LeCoultre Manufacture, whose craftsmen and master watchmakers combine age-old techniques and the latest technology to imagine the most beautiful timepieces. Among the most valuable skills, the oldest decorative arts have no secrets for the Great House in the Joux valley. The enamel, engraving and gem-setting are all virtuoso trades associated according to watches and artistic creations being mastered by the house. A baking between 800 and 850 degrees for each enamel. 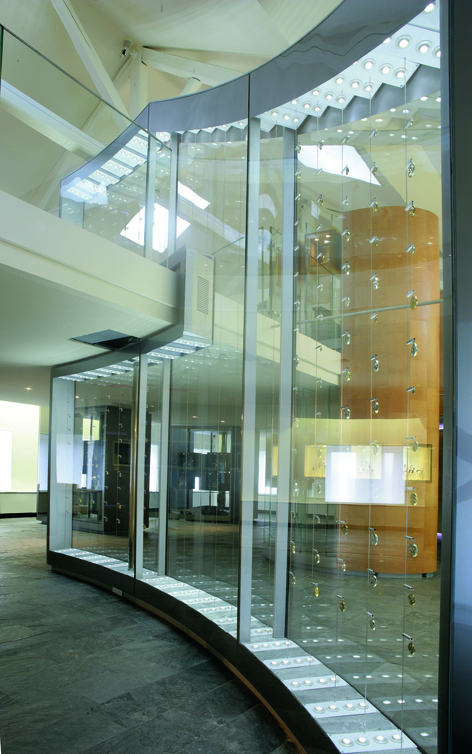 Its patient Manufacture, step by step requires a large number of such delicate operations. Before the start of the actual painting, the enameller covers the back of the dial plate or the housing bottom with a layer called counter enamel and intended to prevent deformation of the metal during baking. Then the artist undertakes the decorative work by applying successive layers of white enamel. The addition to this base enamel of various pigments in the form of metal oxides allows to obtain a wide range of colors. These glazes with splendid colors are deposited on the metal using a quill pen or a very fine brush before being baked several times, until the exact desired shade. The success of the final work depends to a large extent of obtaining such a fine line and accurate as possible so that each high-temperature cooking step (between 800 and 850 degrees for Big Fire enamel) is a major risk on the work in progress. In addition, to ensure perfect operation of the watch mechanism, the enameller must demonstrate absolute precision in his movements so as not to exceed tiny tolerances of the order of 2 / 10th of a millimeter. Finally, to protect a miniature enamel affixed to the back of Reverso he will crown his work by affixing the basis consisting of thin layers of transparent enamel that serves as both a protective varnish miniature painting and allows confer exceptional vividness the ground by enhancing depth and color intensity. This last step is performed at a temperature higher than 800 ° C, has many dangers because each passage in the oven can mean the ruin of many hours of careful and patient work. Also known as the “painting under flux” is the most complete version of the miniature enamel because of its artistic value and its unalterable character. In the workshops of the Manufacture, more than twenty master setters. Crimping is practiced as an art in itself. Not content to master all the usual gestures of their trade, the Jaeger-LeCoultre setters themselves have developed processes to meet specific aesthetic requirements, like the décor of the watch with reversible case or the smallest wristwatch in the world. 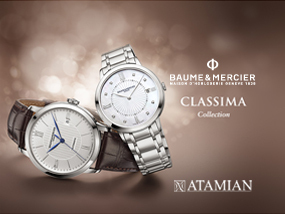 They have exceptional skills, comparable only to the expertise of their colleagues watchmakers. The expert craftsman who practices traditional crimping determines himself the number and position of the stones, before making two holes, a first of great finesse only intended to fix their location and a second that will be enlarged to the size of each stone. In the snow crimping, apart from the complexity of the work and the time required to achieve it, the selection of diamonds requires great expertise: the smallest diameters must be able to blend into the most daring designs. Last process born of the imagination of setters of the Manufacture, rock setting, which is characterized by an exceptional provision that may reveal the fire of the first water diamonds. Tools that have survived the centuries. 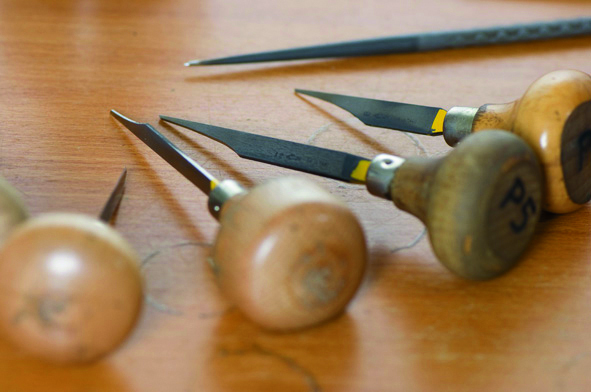 Chisels, files, hammers used today differ little from those possessed by the Egyptians and the Trojans. 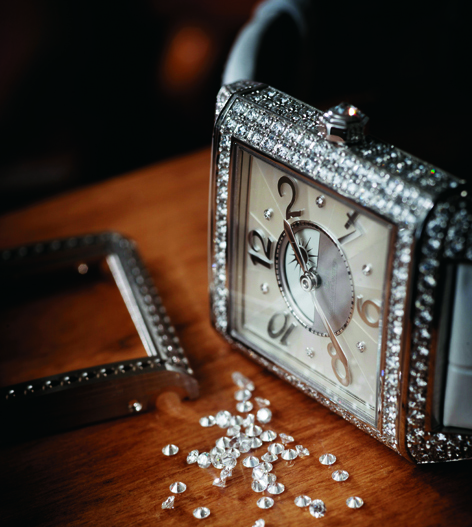 Link between the eyes and emotions, the Reverso lends its case to the expression of the intimate. The desire to fix the hidden beauty. Celebrate solemn moments. Celebration, birthday, special commemoration, the reversible case agrees to all appropriateness, erects monograms, initials, dates, coat of arms, personal memories and magic moments … engraved on the back of the legendary reversible watch. A face dedicated to time, the other to personalization. Praise to the artistic tradition, engraving emphasizes the importance of imagination in originality. 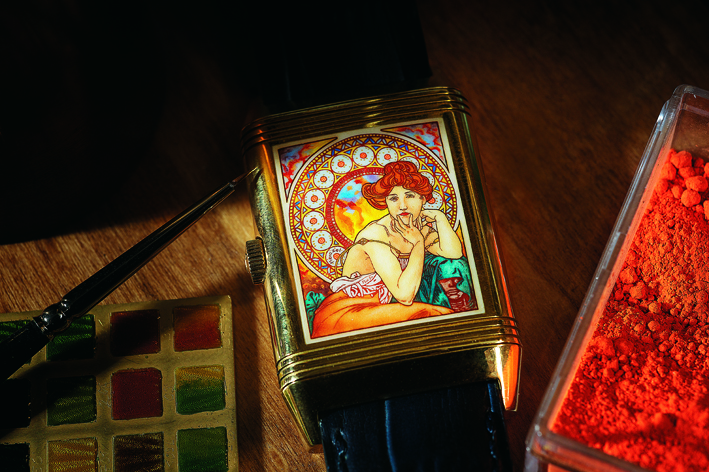 Better, it ornaments the case of the Reverso with art. Art requires rare skills. Legatee of a unique artistic knowledge, of proverbial skill, the engraver of the Jaeger-LeCoultre Manufacture has the nobility of tradition: he prefers to use hand tools to the machine. 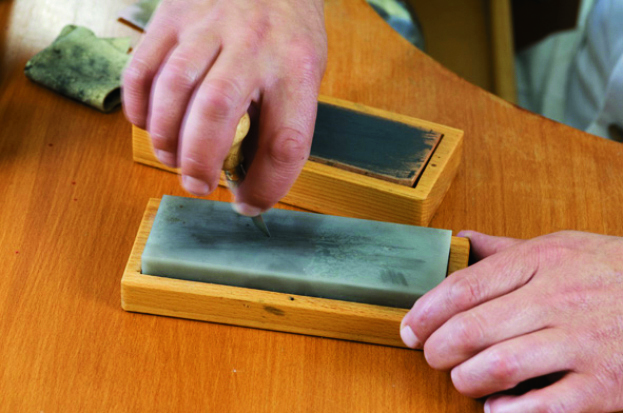 Away from the bustle, in a quiet workshop, he engraves reversible casings. Accustomed to coat of arms, initials, drawings, it illustrates and personifies the second face of the Reverso. By granting the wishes of the owner of the legendary timepiece, he signs his watch and establishes a special relationship with him.